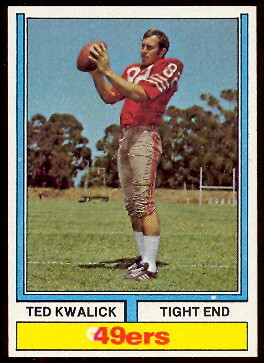 This 50 card Set was made by Topps for distribution by Parker Brothers as part of a football board game. Only Offensive players were used. Most of the cards are similar to the regular Topps issue with some pose variations. 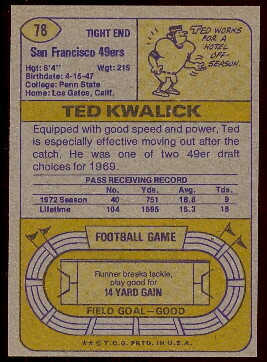 Also, some cards have the 1972 statistics on the back. The cards are skip numbered to correspond with the Topps regular issue number.